I've been wearing this little lace dress so many ways since I got it, and yesterday I brought it out for brunch. It can definitely be a little fancy, so to dress it down I tossed on my denim jacket. Speaking of denim jackets, I have to admit that I was a little reluctant to resurrect mine. It's been in the back of my closet at my parents' house for years, but recently I found myself tucking it into my bag to come back home with me. I've decided I'm just gonna go with it, but I have a feeling you'll be seeing it a lot more once the weather gets cooler. 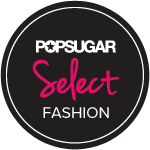 I have been on the hunt for the perfect lace dress or skirt and yours is exactly what I'm wanting! Love this combination with the denim jacket - so cute!! LOVE LOVE LOVE LOVE the lace/denim combo!!! That dress is perfection. I need to go in Forever 21 more often!!!! I did the exact same thing with my denim jacket. It was at my Mom's house and I (after much deliberation) had her send it to me! 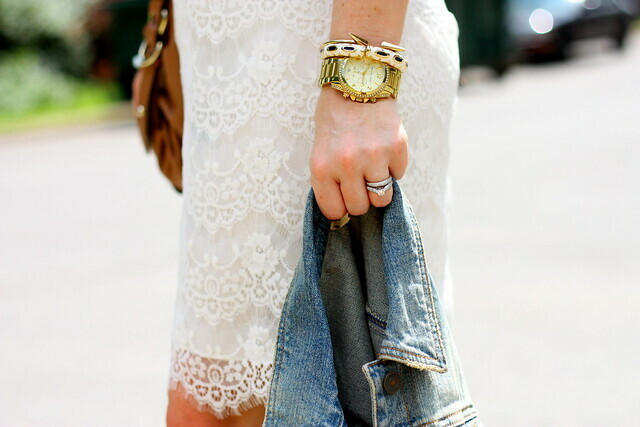 Love the denim paired with lace! Love it! So lovely and feminine! very cute alison! the combo with the denim made it casual!! You are so stinking adorable, I can't even take it. I did the same thing with mine, it was from high school a million years ago and I've recently been showing it some love. You look great. I'm loving those shoes! Amazing find. You look so cute here! The lace dress really looks wonderful with your Sam Edelman sandals and the denim skirt. So pretty! You look adorable! catching up on some of your older posts. love the lipstick with this outfit. just a subtle enough nod to the eighties.